Throughout the convention, our special guests will be taking with their fans, signing autographs, participating in programme items and taking part in social events. 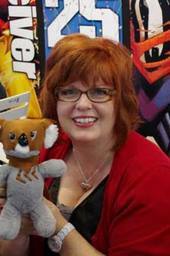 Gail Simone is a critically acclaimed comics writer who has worked for DC, Marvel and other publishers. Simone launched her mainstream career in 2002 by writing Deadpool for Marvel. She eventually moved to DC where she wrote her most well-known work, including celebrated runs on Birds of Prey, Wonder Woman, Welcome to Tranquility and Secret Six. More recently, Simone has been writing Batgirl as part of DCâ€™s â€œNew 52â€� relaunch. She is also an avid blogger and tweeter with a huge online fan-following. Gail Simone’s appearance at SwanCon 2013 is made possible thanks to the generous support of Quality Comics. Charles Stross is an author who writes primarily in the genres of space opera and hard science fiction. His first novel, Singularity Sky, was nominated for the 2003 Hugo Award for Best Novel. He has won two Hugos for Best Novella, for â€œThe Concrete Jungleâ€� in 2005 and â€œPalimpsestâ€� in 2010. 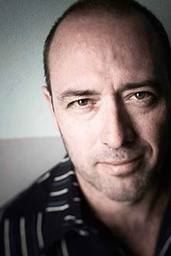 His 2005 novel Accelerando won the Locus Award for Best Novel. 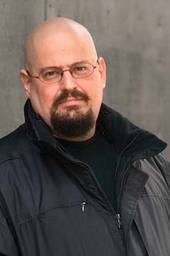 Other works by Stross include the Halting State series, Glasshouse, and the Bob Howard â€œLaundryâ€� series of novels, the latest volume of which was released last year. John Birmingham broke into the public consciousness with his 1994 share house memoir He Died With a Felafel in His Hand, which was later adapted into a feature film, graphic novel and play. The sequel The Tasmanian Babes Fiasco was adapted into Australia’s longest running stage play. His 2002 novel Leviathan: The Unauthorized Biography of Sydney won the National Prize for nonfiction. In the realm of speculative fiction, Birmingham is known for his time-travel series of novels the Axis of Time trilogy and his alternate-history works Without Warning, After America and Angels of Vengeance. Lucy Sussex is an author, editor, academic and teacher, originally from New Zealand and currently living in Melbourne. Sussexâ€™s work spans science-fiction, fantasy, horror and crime fiction, aimed at both adults and younger audiences. She has won three Ditmars and an Aurealis Award. 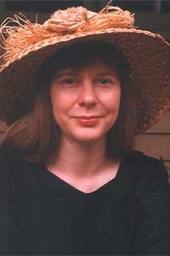 Her extensive work in the fields of criticism, academia and teaching saw her receive the A Bertram Chandler Award for â€œOutstanding Achievement in Science Fictionâ€� in 2003. Lucy Sussexâ€™s appearance at SwanCon 2013 is made possible thanks to the generous support of Ticonderoga Publications, publisher of Matilda Told Such Dreadful Lies: The Essential Lucy Sussex. Each year, a member of the Swancon community is invited to be the convention’s Fan Guest of Honour and is spotlighted in the convention programme. The title is an acknowledgement of the person’s contributions to Western Australian fandom in general, and Swancon in particular, which may include programme participation, volunteering, con-running and social involvement. This year, we have selected John and Sarah Parker as our Fan Guests of Honour. John and Sarah have been active in the WA fan community for many years. Combined, they have attended an incredible 39 SwanCons! John is well known for his passion for “mini-cons”, having organised and run four well-received niche conventions – Nights Edge, Wasteland, Wasteland II: Age of Iron and VillainCon. Sarah has always been a key warm personality in the community, working hard to make the con a better place for her fellow attendees. In 2007 her substantial contribution to SwanCon was recognised with the Marge Hughes “Mumfan” Award. They are two of our community’s most valuable assets and we are delighted to have them as 2013’s fan guests of honour. Want to know a little more about our Fan Guests? Check out our Five Questions with John and Sarah.